Auto reconditioning services company CARS Recon has appointed Jay Cadigan as non-executive board director. Cadigan has worked in the remarketing industry for more than 40 years and was inducted into the National Auto Auction Association’s Hall of Fame in 2015. He retired from Manheim in 2017. Cadigan served as vice president of industry relations for Manheim and before that was Manheim’s market vice president for Florida and Puerto Rico; president of sales and operations for the General Motors and Avis Budget Group accounts; and Skyline Auto Exchange’s general manager (the auction is now Manheim NY Metro Skyline). He also worked for Golden Gate Auto Auction, US Fleet Leasing, Avis Car Leasing and Hertz. In the new role, assisting other board members in developing strategic opportunities as CARS Recon’s growth continues will be his main objective. 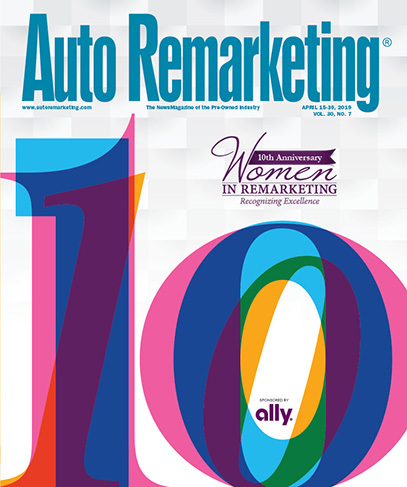 Cadigan earned Ring of Honor recognition from the National Independent Automobile Dealers Association in 2016 and was named the Remarketer of the Year in 2015 at the Conference of Automotive Remarketing.